Marshals stopped Bihari, the MLA from Lauriya Jogapatti constituency in the northern West Champaran district, at the gates. PATNA: Former minister and BJP legislator Vinay Bihari on Monday reached the Assembly wearing shorts and a vest to take part in the ongoing winter session proceedings, but he was denied entry. irreverent MLA, who has also been a well-known Bhojpuri singer and songwriter before becoming a politician, to stage a dharna on the Assembly premises. He was accompanied by some BJP legislators during the dharna. state government led by JD(U) leader Nitish Kumar has been exceedingly callous to his demand for construction of the road despite a promise to that effect way back in December 2013. “I have given my kurta to the government of PM Narendra Modi and my pajamas to the state government headed by CM Nitish Kumar,” said Bihari to journalists. “I have written letters to Union road transport and highways minister Nitin Gadkari, CM Nitish Kumar and all the authorities concerned to have a road constructed between Manuapul in Bettiah and Jogapatti Ratawal. Nothing positive has come out of all my efforts,” he added. Bihari said CM Nitish Kumar had promised at a public meeting on December 26, 2013 that the road would be constructed. “It is sad that there is no road still, and I am having to protest in this manner,” he added. In a Facebook post recently on the issue, the MLA had described himself as a “Gandhian, a man of principles”. Incidentally, Champaran is historically significant as the place from where Mahatma Gandhi had begun his epoch-making movement for India’s freedom from British colonial rule and social reform. Bihari, whose songs have been criticised for their apparent lewdness, was an independent MLA in Bihar’s last Assembly and became a minister by getting close to Nitish Kumar’s JD(U). He was made the minister for art, culture and youth affairs. It was during his tenure that he had made headlines by saying that college girls should not carry mobile phones with them as it bring them more troubles. 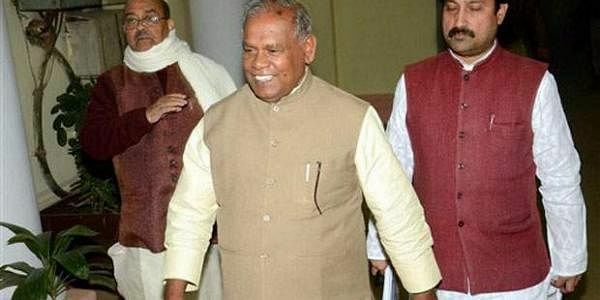 When Jitan Ram Manjhi became Bihar CM and split from JD(U) by forming Hindustan Awam Morcha, Bihari joined the new party. He contested on a BJP ticket in the last Assembly polls and won.